I’ve been thinking about resurrecting this old blog that used to be called Bigfoot Lives! but I haven’t been sure how/what/why. 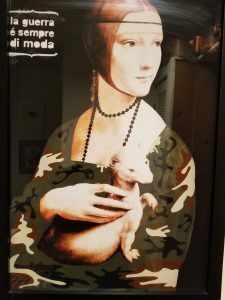 So here’s a photo of a print that I love that’s in my office. There’s some stuff reflected in the glass. Get over it. 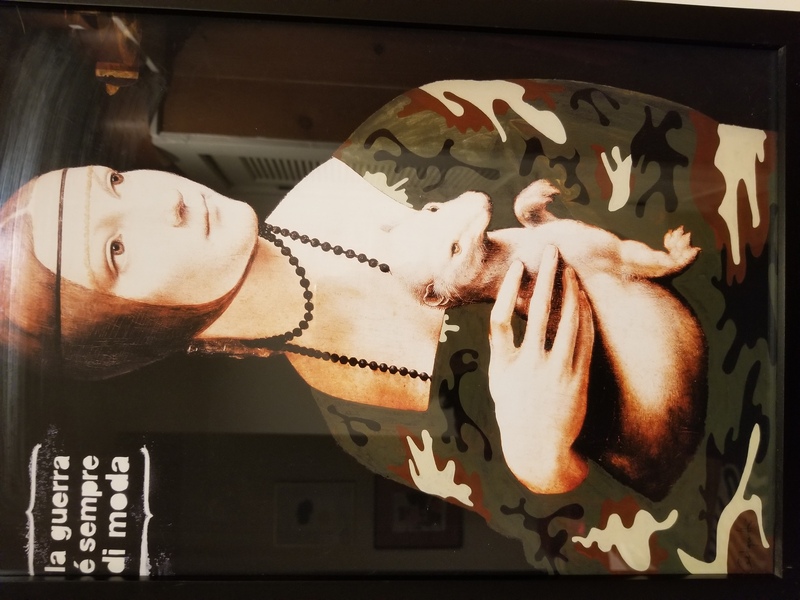 I purchased the print at a WriteGirl benefit a bunch of years ago because 1) ferret, 2) Italian, 3) camouflage, 4) ginger and 5) WriteGirl. WriteGirl is a terrific organization. Tomorrow is their Songwriting Workshop at the Huntington Library, where high school girls work on song lyrics for most of the day, then real! live! women! songwriters! put their lyrics to music for a showcase in the afternoon. There will be tears and screams, mine included. There always are. If you want to know more about WriteGirl, here you go. I just started volunteering at WriteGirl again after a long hiatus. I missed it. Like I missed this blog. This not-blog. You guys. Just because I got nothing to say doesn’t mean I won’t say it anyway.